But the original $17,000 Apple Watch won't be able to get it. 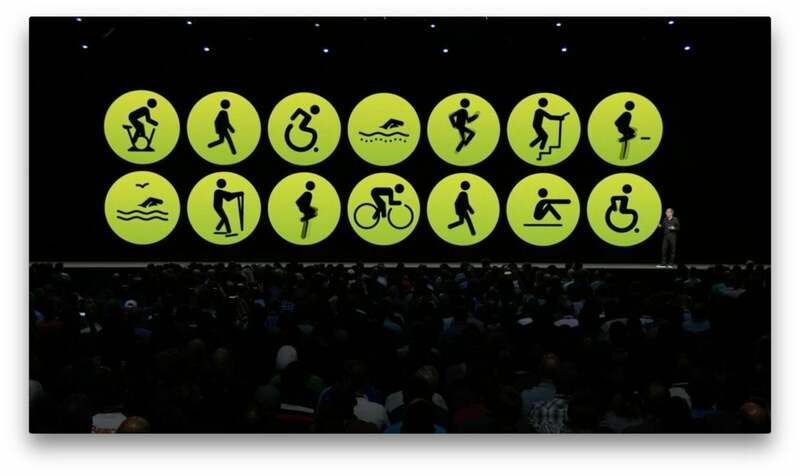 With rumors swirling about the first Apple Watch redesign due to land in the fall, Apple used its WWDC keynote to focus on some of the new features in watchOS 5. The new features just might keep some of those old models in circulation a little longer—though not the original Watch, which will be dropped from watchOS 5 compatibility. So if you spend 17,000 on one of those solid-gold models, you're out of luck. From workouts to watch faces, version 5 is shaping up to be one of the best upgrades to watchOS in years, and we can’t wait to get our hands... er, wrists on it. Here are five reasons why it’ll be a must-upgrade. There are three new workouts in watchOS 5: yoga, hiking, and outdoor running. Apple Watch is already one of the best fitness trackers you can buy, and watchOS 5 is only going to make it better. It starts with the the Activity app. Instead of just tracking your own exercise, you’ll be able to set up weekly competitions with friends as you battle to earn those precious badges. Workouts have been enhanced as well. There are new pre-sets for yoga, hiking, and outdoor running, which will track things like your heart rate, elevation, and cadence. Your watch will also be able to automatically detect when a workout has started and let you know if you’ve forgotten to end it. 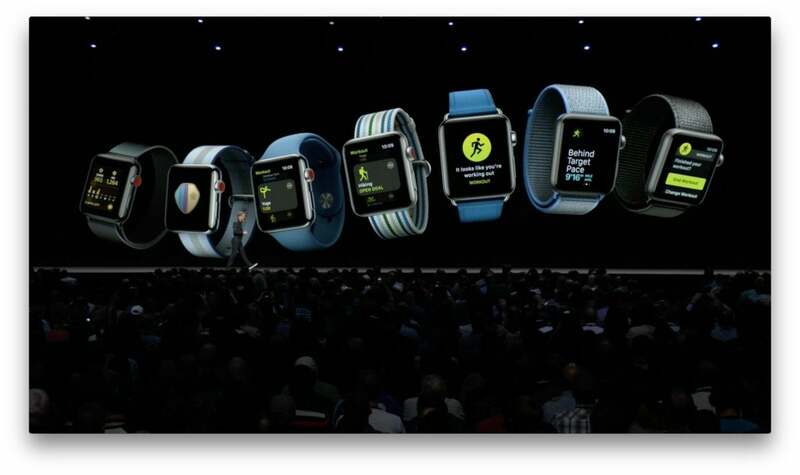 The new Walkie-Talkie feature in watchOS 5 will let you communicate with your Apple Watch buddies in a new way. 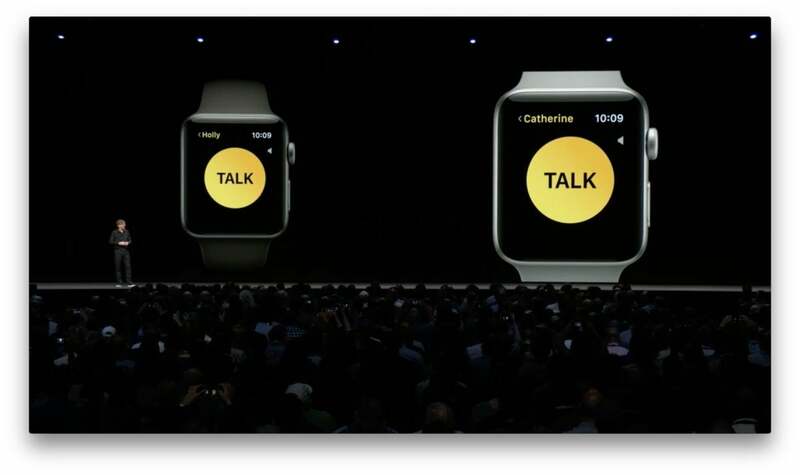 While our Apple Watches already offer cool ways to communicate, Apple is adding another one in watchOS 5: Walkie-Talkie. After a one-time request during setup, you’ll be able to contact other Apple Watch users just by tapping a Talk button on the screen—without dialing, typing, or doodling. And it’ll work over Wi-Fi or LTE, so you’ll never be out of range. 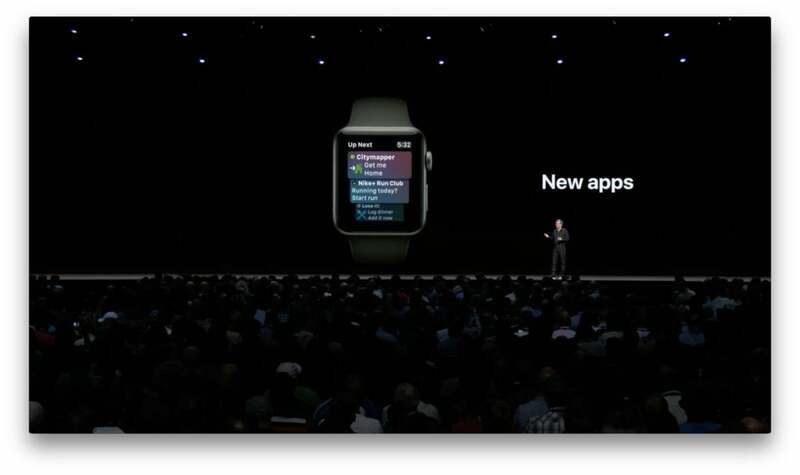 Third-party apps will be able to add their own cards to the Siri watch face in watchOS 5. Since its introduction in watchOS 4, Siri has quickly become a favorite watch face, and it’s getting a host of improvements in watchOS 5. First off, there will be new cards for sports scores, maps, and heart rate, as well as support for the new Siri Shortcuts in iOS 12. But best of all, developers will be able to get in on the fun with a new API that lets third-party apps appear on the face as well. And finally, there will be no need to say “Hey Siri” anymore. Just raise your wrist and start talking. Notifications won’t just be dumb alerts in watchOS 5. Notifications on Apple Watch are mostly a passive experience outside of Apple’s core apps, but we may be interacting with them a whole lot more in watchOS 5. 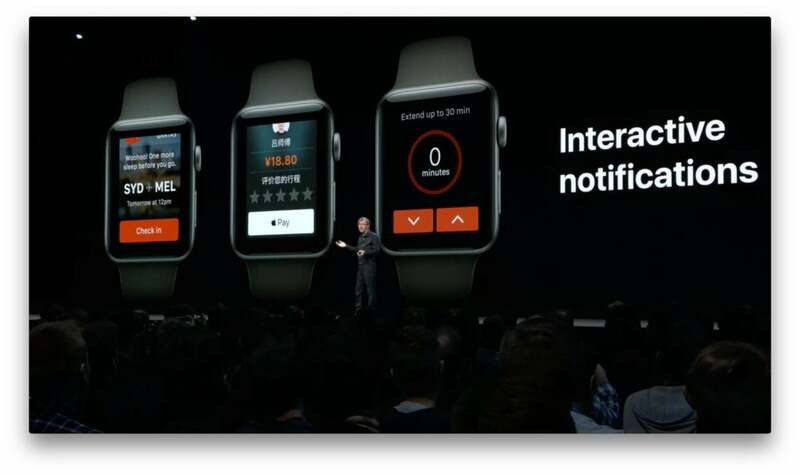 While phone alerts will still mainly be shortcuts, Apple is letting developers build buttons into notifications in watchOS 5 so we don’t need to bounce to an app just to turn on a workout or check into a flight. Furthermore, with grouped notifications, you’ll be able to see full conversations without scrolling through unwieldy list of alerts. And when you get a link in Mail or Messages in watchOS 5, you’ll actually be able to view it on your tiny screen thanks to Webkit support. Add it all up, and we’ll have have even fewer reasons to pull our phones out of our pockets. 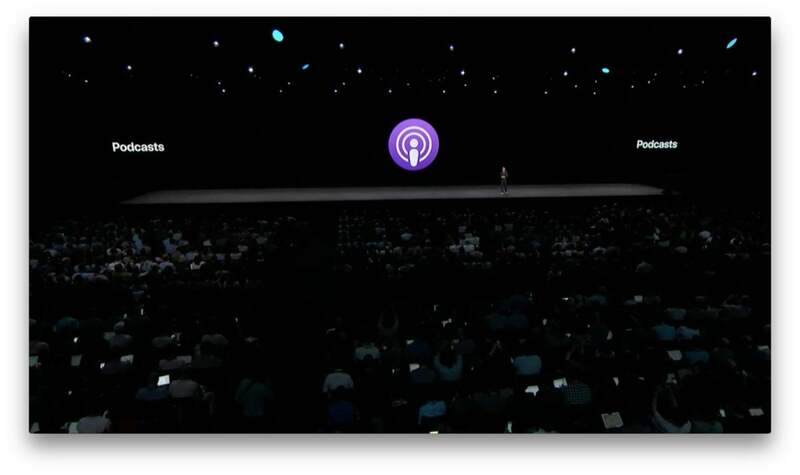 The Podcasts app is coming to the Apple Watch. Pod Save America fans will love this one: Apple is finally bringing the Podcasts app to the watch. That means you’ll be able to listen to your favorite podcasts on your watch, with synced playback across all of your devices so you’ll be able to pick up right where you left off. And one more thing for music lovers: Third-party apps will now be able to keep their audio playing in the background, which opens up the possibility of a Spotify app.